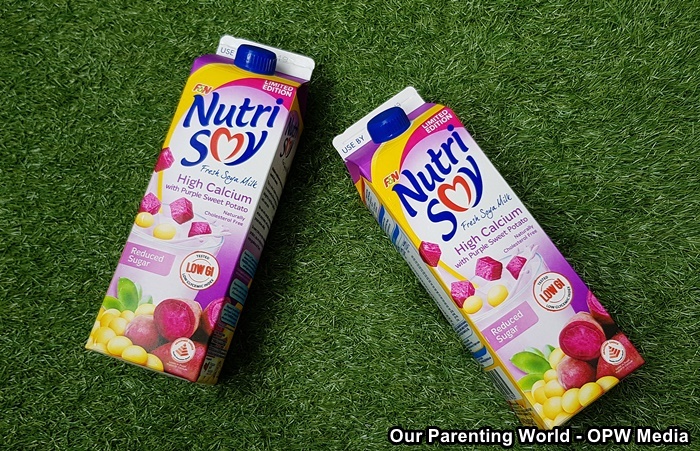 This March, F&N has launched the new limited edition F&N NutriSoy High Calcium Reduced Sugar Fresh Soya Milk with Purple Sweet Potato to its range of Healthier Choice Soya Milk drinks. This nutritious and delicious drink contains a good source of plant protein, Vitamin A, calcium rich, cholesterol free, low in Glycaemic Index (GI), lower in sugar and trans fat free. F&N NutriSoy High Calcium Reduced Sugar Fresh Soya Milk with Purple Sweet Potato is made with all natural, premium, non-genetically modified soya beans, made with real purple sweet potato, contains 25% less sugar than other regular soya milk, with no added preservatives, halal-certified, suitable for vegetarians and carries the Healthier Choice Symbol by Health Promotion Board. 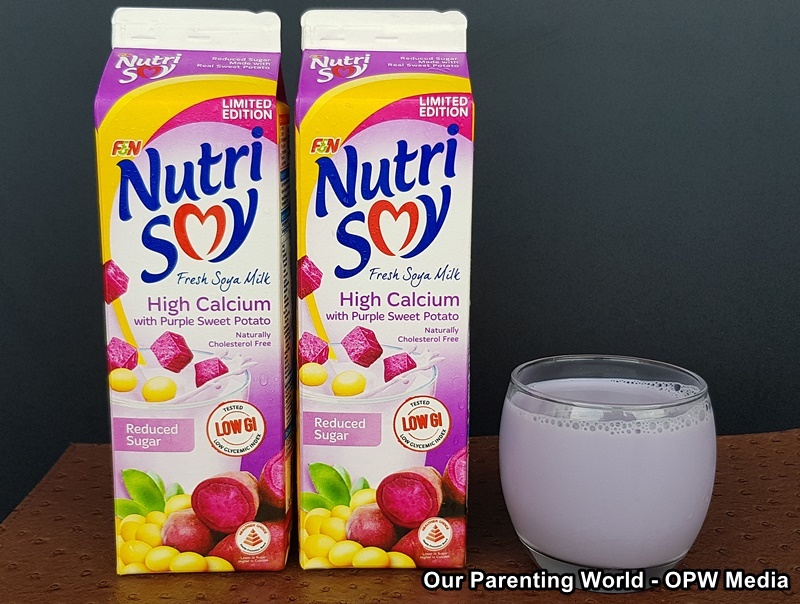 Enjoy F&N NutriSoy High Calcium Reduced Sugar Fresh Soya Milk with Purple Sweet Potato, a healthy, flavourful drink that is full of goodness for your body. It retails at the Recommended Selling Price of S$2.35 per 1-litre pack and S$1.40 per 475ml pack. They are available in major supermarkets, hypermarkets and selected convenience stores.